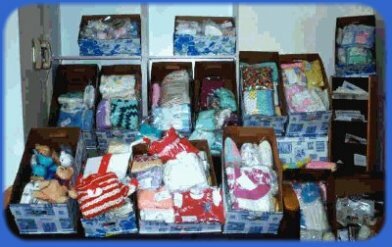 Southside Hospital – TLC for Angels – North Shore - Long Island Jewish Health System, TLC's first donation. We have scheduled our first project for Southside Hospital which is in Bay Shore, New York. 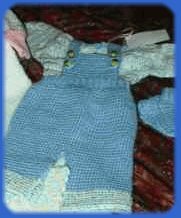 We have a delivery date of October 2. The mailing deadline for the Southside project is Aug 30th. 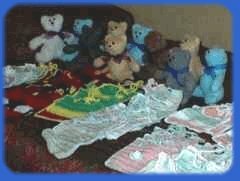 Current needs for this hospital are newborn size items such as blankets, hats, booties, sweaters, etc...Anything that a baby can wear home, since many of the families are really in need of assistance and do not have the money to buy things to take their babies home in. 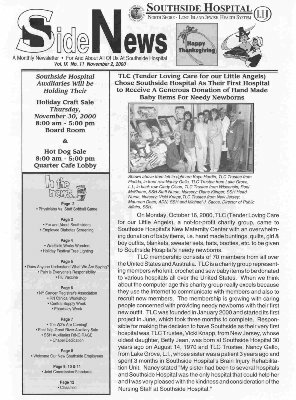 On Monday, October 16, 2000, TLC (Tender Loving Care for our Little Angels), a non-profit charity group, came to Southside Hospital's New Maternity Center with an overwhelming donation of baby items, i.e. 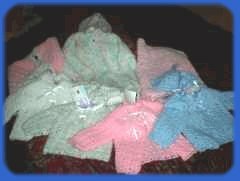 hand made buntings, quilts, girl & boy outfits, blankets, sweater sets, hats, booties, etc. 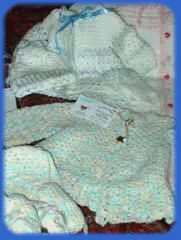 to be given to Southside Hospital's needy newborns. 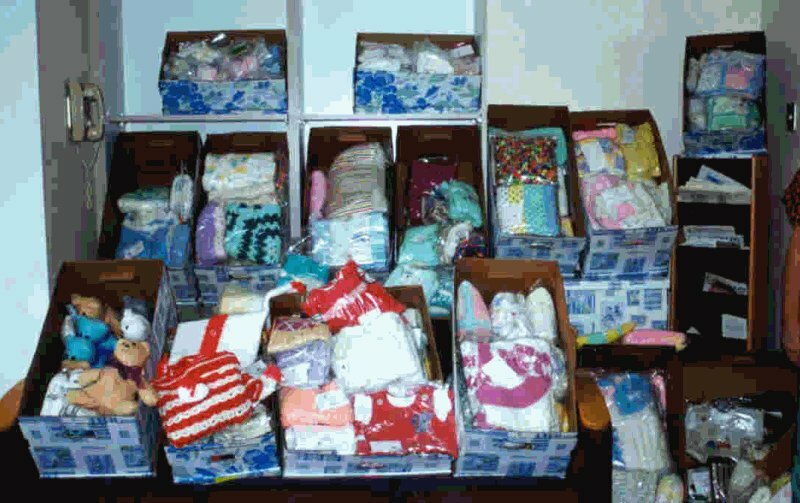 TLC volunteers consist of 70 volunteers from all over the United States and Australia. 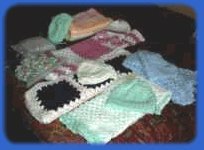 TLC is a charity group representing volunteers who knit, crochet and sew baby items to be donated to various hospitals all over the United States. When we think about the computer age this charity group excels because they use the Internet to communicate with volunteers and also to recruit new volunteers. 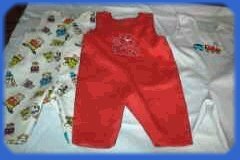 The volunteering is growing with caring people concerned with providing needy newborns with their first new outfit. 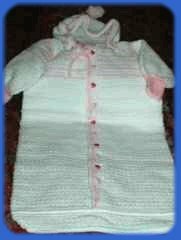 TLC was founded in January 2000 and started its first project in June, which took three months to complete. 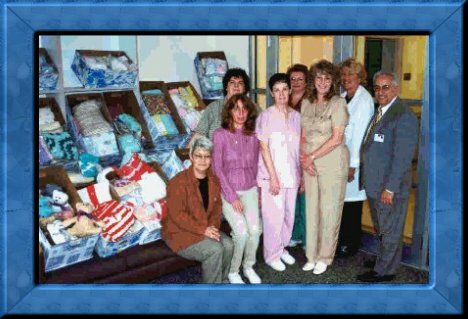 Responsible for making the decision to have Southside as their very first hospital was TLC trustee, Vicki Knapp, from New Jersey, whose oldest daughter, Betty Jean, was born at Southside Hospital 30 years ago on August 14, 1970 and TLC Trustee, Nancy Gallo, from Lake Grove, L.I. 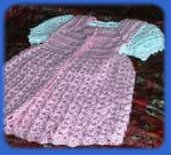 [Long Island], whose sister was a patient 3 years ago and spent 3 months in Southside Hospital's Brain Injury Rehabilitation Unit. 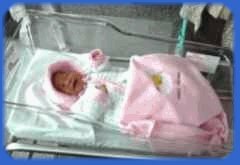 Nancy stated, 'My sister had been to several hospitals and Southside Hospital was the only hospital that could help her and IO was very pleased with the kindness and consideration of the Nursing Staff at Southside Hospital.'" 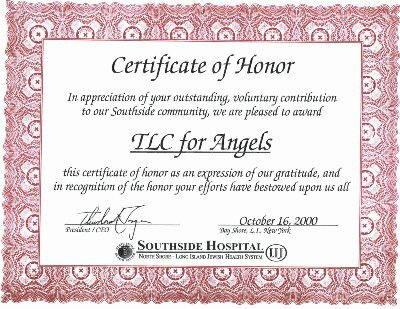 In appreciation of your outstanding, voluntary contribution to our Southside community, we are pleased to award TLC for Angels this certificate of honor as an expression of our gratitude, and in recognition of the honor your efforts have bestowed upon us all."